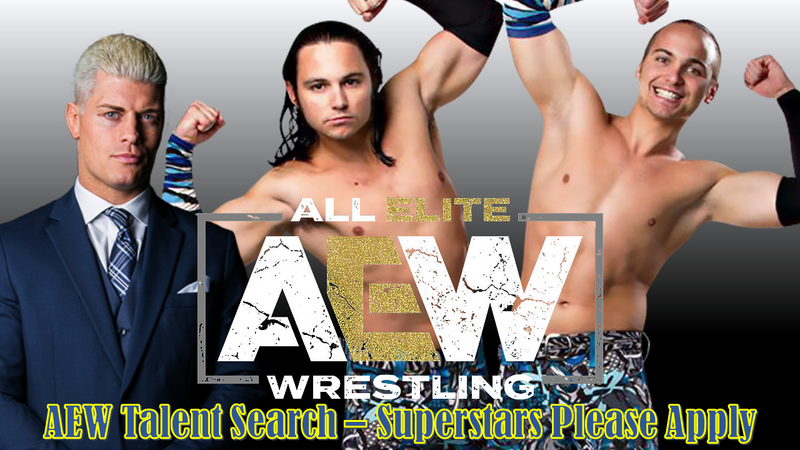 All Elite Wrestling has been thrust upon the wrestling universe and the anticipation has never been higher. Wrestling fans from around the world are already looking forward to May 25th and the first big show Double or Nothing which will feature the crowning of the first ever All Elite Wrestling Champion. They will no doubt feature some highly anticipated matches between stars like Pac and Hangman Page, Cody and Chris Jericho, and potentially Kenny Omega and just about anyone. Unfortunately, those are all the dream scenarios we have thus far. Despite the buzz surrounding AEW, the reality is that they have an extremely limited roster to capitalize on. They have announced the signing of independent stars Joey Janela, MJF, and Britt Baker combined with the trio known as SoCal Uncensored which includes Frankie Kazarian, Scorpio Sky, and the often underappreciated Christopher Daniels. Despite these signings, the excitement surrounding the company is centered on the members of the Elite, Chris Jericho, and Pac (a/k/a WWE’s Neville). The need for significantly more talent cannot be understated. Despite this clear void at the top of their roster, there really are limited options for who to bring in. There does seem to be a general consensus that Kenny Omega will arrive in February. There are some who believe that NJPW’s KUSHIDA will follow Omega to AEW. There are also countless media outlets generating lists of WWE talent who would supposedly jump at the opportunity to make a move to AEW. Despite all of those lists, the majority of those hypothetical signings are under contract far beyond the May 25th event. That means AEW could be in serious trouble if they don’t find more talent. What AEW needs to focus on is what they bring to the table to try to attract as much outside talent as possible. They have to incorporate their perks into their contract negotiations and make stars see a unique offering with AEW. Health Insurance and Medical Benefits are huge components that have been rumored to be included in AEW contracts. A lighter work schedule for the purposes of giving stars personal freedom to spend time at home is a huge factor. Some of the contracts allowing talent to work outside the AEW umbrella are even more attractive. One aspect that seems to get overlooked when sites report who should or should not sign with AEW is that with the high expectations of the wrestling world riding on their shoulders, AEW has to provide main event level attractions at every show. They may be able to showcase Pac better than WWE ever did but to the mainstream wrestling world that currently revolves around Raw and Smackdown Live, Pac is not enough to tune in. Chris Jericho helps as does Kenny Omega but there are only so many angles you can run with those options if you want to remain relevant. It is time for AEW to look hard at the entire wrestling world and approach the biggest and best from all corners of the globe to truly attack the wrestling universe on May 25th. Signing talents like Austin Aries, Zack Sabre Jr, Will Ospreay, and raiding the MLW roster for talent may be a must to truly launch the brand. Can you imagine Pac and Aries putting on the clinic of a match that they should have been able to do at WrestleMania but instead on an AEW show as a sort of thumb to the nose at WWE? Despite the announcement of the AEW talent at the rally in Jacksonville, one aspect that seemed to be completely overlooked was the tag team division. It is true that at this moment they only feature 3 female talents which include Brandi Rhodes, Penelope Ford, and Britt Baker illustrating how much they will need to grow the female exposure as well but aside from the Young Bucks, where are the tag team offerings? Will we have to see repeated SoCal Uncensored vs Young Bucks matches or will they bring in some additional talent? Will the influx of stars from Oriental Wrestling Entertainment stars bring about more offerings in the tag division? I suppose time will tell. Is AEW worth the hype? In the end, wrestling fans are often marks for anything new and fresh. AEW offers the fans a chance to see something exciting with the hopes of bringing WWE down a peg and providing substantial production value to a market that sorely needs a brand to step up and grab the brass ring. Impact Wrestling has failed to do so. Ring of Honor delivers some of the best matches on the planet but have always looked second rate on television. New Japan is improving their presentation but still lags behind what the American audience is used to with WWE. Lucha Underground may be the best produced show aside from WWE available but their insane booking style and sporadic television tapings have hurt their credibility. With AEW we have something WWE has failed to deliver on for quite some time. HOPE! Hope for a better product. Hope for a more adult oriented show. Most of all, Hope for an alternative that truly delivers the total package on a solid network, rumored to be TNT, with consistent booking and storylines that generate real emotion. The final verdict is that AEW is absolutely worthy of the hype. 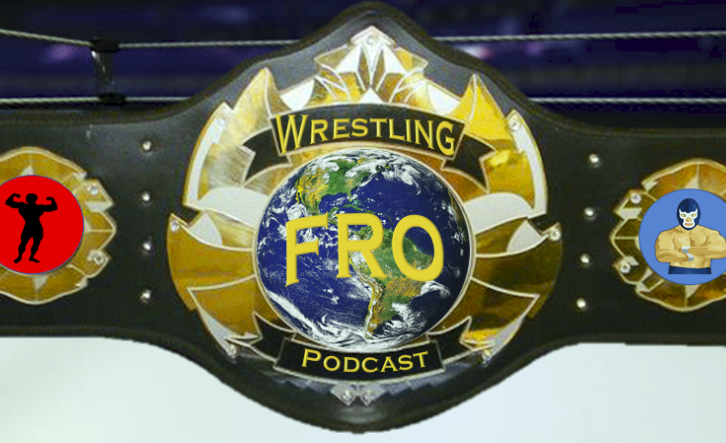 They have set out to change the landscape in the world of professional wrestling. It would seem like a no-brainer that WWE is well aware that they have to step up their game. It is perhaps that caveat that makes the AEW brand most influential. They could be the driving force behind WWE, ROH, NJPW, Impact, and Lucha Underground really making an effort to improve their products so that the real winners will be the fans.